With CES out of the way it’s once again time for educational conference season. The Florida Educational Technology Conference, one of the top five education technology conferences in the country, kicks off next week in Orlando Florida. Many companies who spent last week on their feet at the Las Vegas Convention Center for CES, have barely had enough time to catch their breath before having to change gears and accent technology for the classroom. Top ranked accessory and peripheral manufacturer Logitech will be showing off their line of educational products at the FETC conference when exhibit halls open next Wednesday. Logitech will show how their ConferenceCam CC3000e can compliment any classroom when it comes to video conferencing instructors, guest speakers and others. 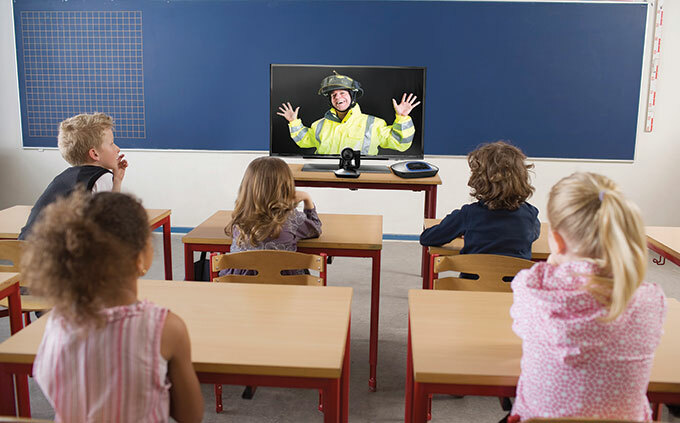 “Instructors can also make classroom videoconferencing plug-and-play easy. Using virtually any computer and platform like Skype® or Cisco®, classes can instantly meet and exchange ideas with authors, specialists and students around the world—face-to-face— without leaving their desks. And for distance learning, Logitech webcams enable a student at home and teacher in the classroom to easily interact in high-quality HD video on their computer screens.” The company said on their blog. For schools and school systems with budgetary concerns, Logitech has their, Logitech Bluetooth Multi-Device Keyboard K480. This keyboard is designed to connect wirelessly to multiple computers, phones and tablets via Bluetooth. This gives the users the opportunity to respond to messages on one device and quickly and seamlessly move over to another. “A simple dial makes it easy to switch between typing on three different Bluetooth® wireless devices like an iPad® or Android™ tablet, a Mac® laptop, Chromebook™ or Windows®-based desktop computer. That’s a big plus for schools that don’t have funding available to purchase different keyboards for all those different devices.” Logitech said.